Vinyl Stovepipe Hat Rubber Duckies - Dr. Seuss Themed Duckies! Vinyl Stovepipe Hat Rubber Duckies put a new twist on the duckies we love so much. Dr. Seuss has always been a classic, and these duckies are sure to go perfect for any Dr. Seuss themed carnival booth! Add variety to your treasure box or prize booth with these cute hat wearing ducks. Stovepipe hat duckies are 2". 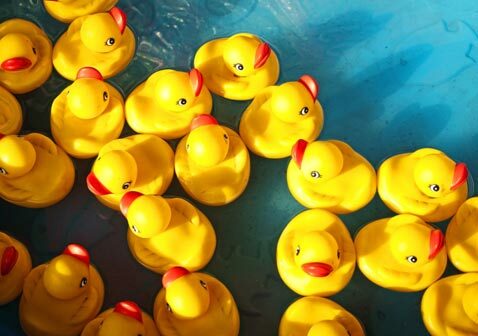 Note: These Rubber Ducks Do Not Float Upright - so they are best used for a prize or for decoration!